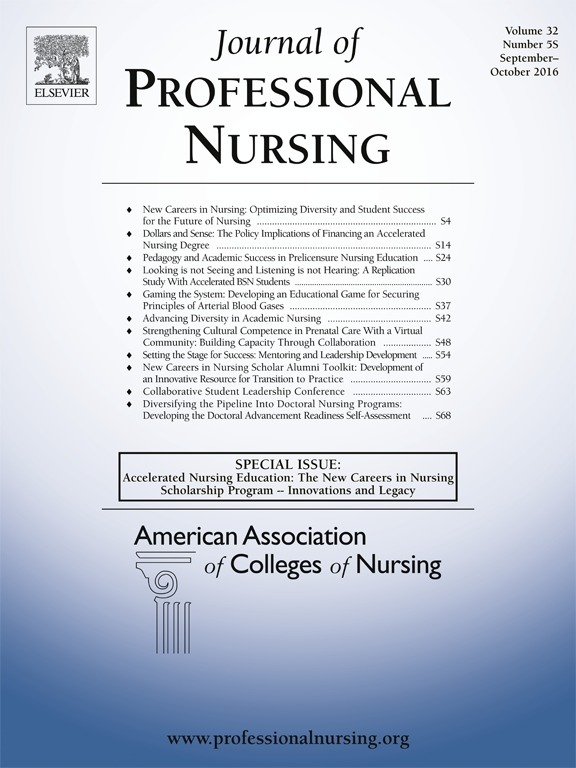 Special Issue titled "Accelerated Nursing Education: The New Careers in Nursing Scholarship Program -- Innovations and Legacy". Volume 32 Issue 5S September-October 2016. 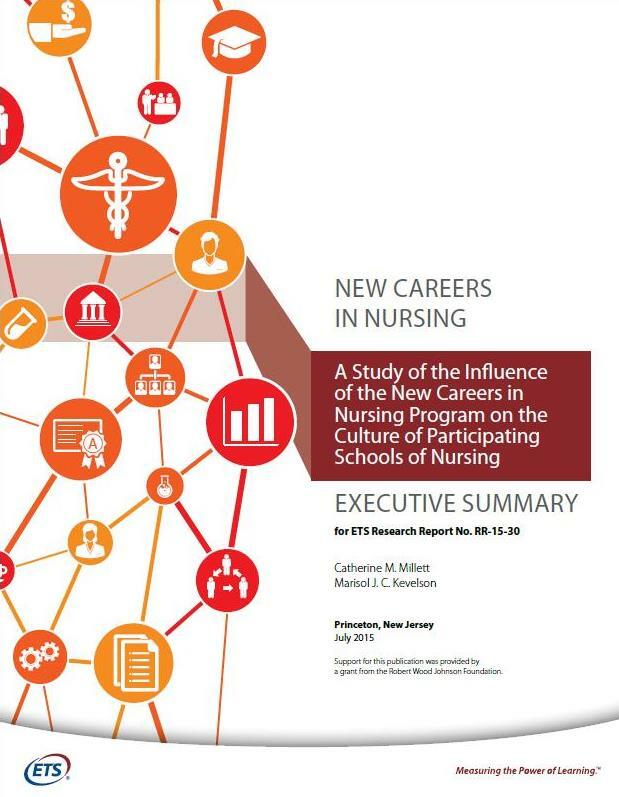 The eleven articles published in this special issue encompass the lasting legacies of both the New Careers in Nursing Scholarship Program and the Doctoral Advancement in Nursing Program. Each year the National Program Office published an annual report discussing the sucesses of that cohort of schools in addition to the overall impact. 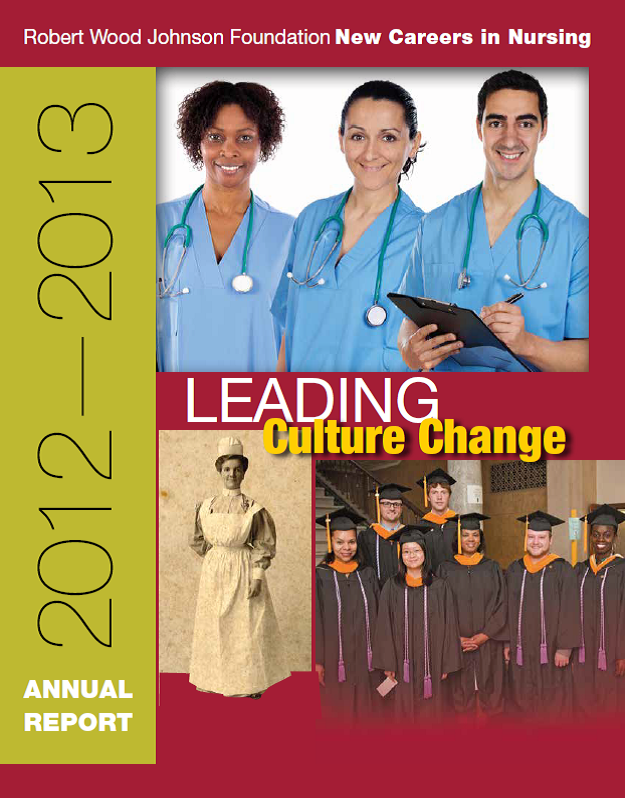 In 2008, the Robert Wood Johnson Foundation (RWJF) and the American Association of Colleges of Nursing (AACN) launched New Careers in Nursing (NCIN) to help alleviate the nursing shortage, expand the capacity of nursing programs and build a more diverse nursing workforce that could better meet the health care needs of a changing patient population. The program also helped craft a key recommendation in the Institute of Medicine’s landmark report on the future of nursing: to increase the proportion of nurses with a baccalaureate degree or higher. The NCIN program awarded grants to 125 unique schools of nursing, in 41 states and the District of Columbia, and also provided scholarships to 3,117 students enrolled in accelerated baccalaureate and master’s degree nursing programs. During round six, the 2013-2014 school year, NCIN made grants to 52 schools of nursing that awarded a total of 400 scholarships of $10,000 each. NCIN awarded grants to 119 unique schools of nursing, provided scholarships to 2,717 nursing students in accelerated baccalaureate and master’s degree programs. During round five, the 2012-2013 school year, NICN made grants to 55 schools of nursing that awarded 400 scholarships of $10,000 each. 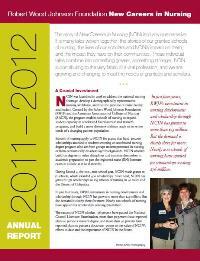 That investment and the support from the NCIN National Program Office, which includes toolkits on leadership, mentoring, pre-entry support and recruitment, have influenced significant culture shifts at grantee schools of nursing—change that will endure and affect even more students than those who received NCIN scholarship support. 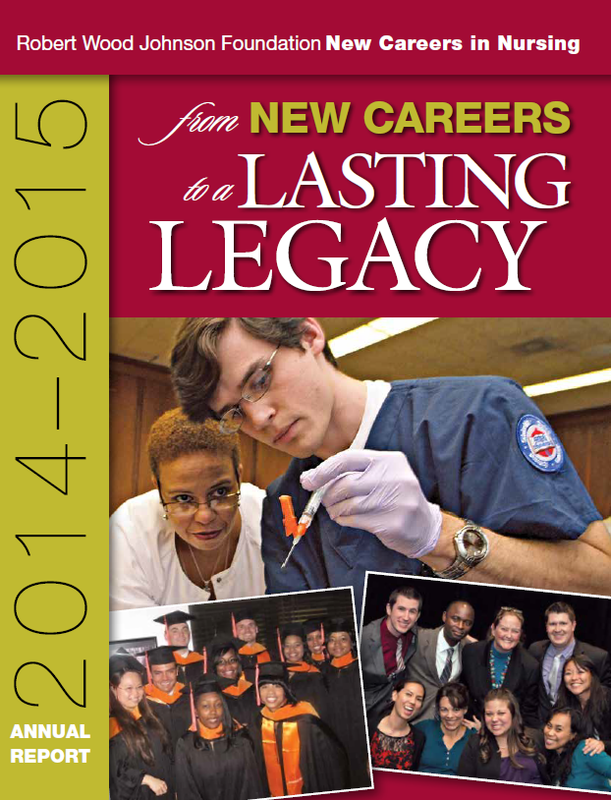 The story of the Robert Wood Johnson Foundation New Careers in Nursing (NCIN) isn’t any one narrative. It is many tales woven together: the stories of our grantee schools of nursing, the lives of our scholars and NCIN’s impact on them, and the impact they have on their communities. These individual tales combine into something greater, something stronger. NCIN has significantly contributed to the very fabric of a vital profession, as it grows and changes to meet the needs of future generations. To meet the needs of a growing and increasingly diverse patient population, the nursing workforce must increase in number and in diversity. For the past three years, the Robert Wood Johnson Foundation (RWJF), in partnership with the American Association of Colleges of Nursing (AACN), has sought to address the shortage of nurses by preparing diverse, future nurse leaders through the Robert Wood Johnson Foundation New Careers in Nursing Scholarship Program (NCIN). NCIN’s approach embodies many of the recommendations outlined in the 2010 Institute of Medicine (IOM) report The Future of Nursing: Leading Change, Advancing Health, which focuses on transforming the nursing profession to meet the needs of the 21st century American patient, including strengthening nurse education and training; advancing interprofessional collaboration across the health spectrum; and expanding leadership ranks to ensure that nurses have a voice on management teams, in boardrooms and during policy debates. When the Patient Protection and Affordable Care Act was signed into law, health care coverage was extended to 32 million Americans who will be entering our system of care. In order to meet the needs of a growing and increasingly diverse patient population, our already over-burdened nursing workforce will need to both increase in number and diversify in skills. To help alleviate some of that burden, for the past two years, the Robert Wood Johnson Foundation (RWJF) and the American Association of Colleges of Nursing (AACN), have sought to address the current nursing shortage and prepare future nursing leaders through the Robert Wood Johnson Foundation New Careers in Nursing Scholarship Program (NCIN). During the 2008 – 2009 funding cycle, the Robert Wood Johnson Foundation New Careers in Nursing program proudly supported 58 accelerated nursing programs, and 706 individual students. By the end of its second year, a total of $14.06 million in scholarship funding was distributed to 1,406 entry-level nursing students and a total of 84 schools of nursing will have participated in the program. All scholarships have been awarded to students representing one or more of three selection criteria: 412 (60 percent) diverse ethnic backgrounds; 256 (36 percent) males; 144 (20 percent) disadvantaged background. 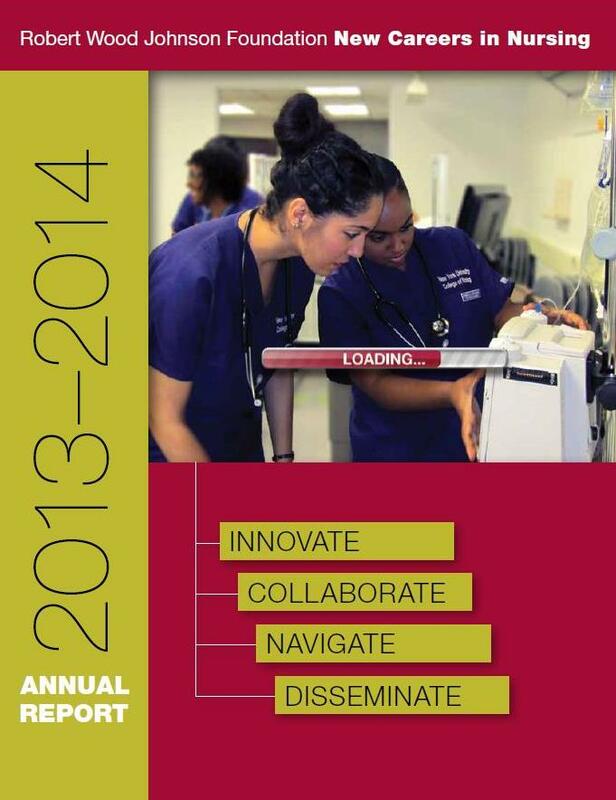 With 95 percent of scholars indicating they plan to pursue graduate studies at the completion of their program, NCIN is clearly making an impact on the nursing student population by bringing more underrepresented groups into the profession.